this is the first time i have read your about page and want to comment on your would you befriend you question. i feel like you are a friend of mine. i always look forward to your blog and comments about life and things. i feel that if we were in the same location we could be really good friends as you think alot like me and have many of the same interests. But, since you are in toronto and i’m in indiana i will be happy to be a blog friend. hi spomenka, are you referring to the crochet llama on one of my awesome finds posts? that is indeed an awesome pattern, and it’s created by someone else, which means that i cannot sell the finished product made from it. hope this helps! Hi Trish..i came across your website by chance and am hooked since then! I have been thinking of trying crochet and other DIY stuff since ages but haven’t been able to. Going through your blog has given me so much inspiration! I LOVE all your projects and can’t wait to try them now! Oh and also, do you have a facebook page? i don’t have a facebook page, but thank you so much for your encouraging message! happy crocheting! Have heard a lot about you from Michael and have been really enjoying your blog lately. Its very refreshing to read your writing and see things from your point of view. Your writing very clean and beautiful. I really enjoy your yarn work even though i have no such skills! May be i will get inspired someday and make something! i will send you a picture of i ever do. Keep up the good work and please know that there are many of us who dont write often but follow your blog religiously, everyday ;) — cheers! lovely work…i like people that share their skills..
thank you for visiting, Barbara! 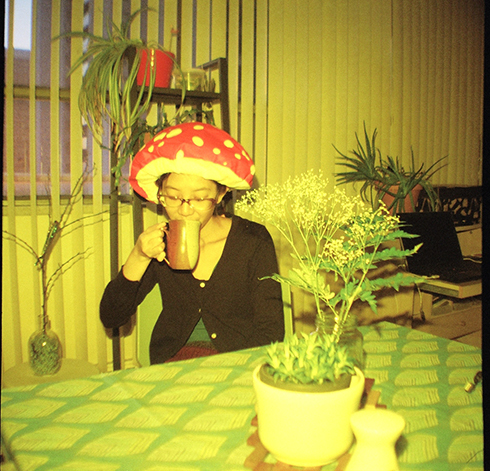 I love ginkgo leaves (and also mushrooms) and crochet, so that is how I found you. I’ve enjoyed reading your patterns and plan to try some of them. Thank you! thanks so much for visiting, Brenda! 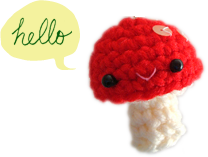 happy crocheting, and i’d love to see the things you make!